We’ve all got them, those apps you just can’t do without. Buy a new phone, and there are some you just have to make sure you have on your device. Day to day, there are those apps you rely on much more than others. Like you, we’ve got ours. While we're clearly information junkies, there are some things that distract us from the day-to-day grind of absorbing as much info as possible. As knowledge workers, keeping abreast of the latest Android and tech news is a full-time job. And no other tool so far helps me do that perfectly than Feedly. Sure, it may not be as fancy as, say, Flipboard, but it lets me define my own news sources instead of relying on someone else's curated collection. It's simple, fast, cross-platform and gets the job done. But the sheer amount of information is impossible to get through in one sitting. That's where Pocket comes in to keep me sane. Formerly known as Read It Later, I use the service basicallly as dumping ground for longer pieces I want to read later. Recently, I've also started using tags and turned Pocket into a makeshift ad hoc bookmark service, since I've found its cross-platform syncing to be more reliable than the browser's. Be warned, though. Saving to Pocket can become so natural that your list will grow without you realizing it. Favorite apps isn't a difficult topic to discuss -- until you are asked to narrow down that favorites list to just a few. That is where I sit now, trying to narrow down a list of 20 or so. Since my favorites can likely be broken down into subcategories, I'll proceed by focusing on one category, with an overall must have. The must have is Evernote. Evernote is the first app I install on a new device, and an app that I use on a daily basis. It also happens to be one of the few that I use in widget form. In this case the widget lets me open the app itself, or jump direct to a text note, image note, voice note or reminder. Evernote not only allows me to take quick notes, but more important is how it also lets me view those notes for when I eventually forget. Others have said this and I have to agree, Evernote is sort of an extension of my brain. I can round out my favorite apps with just four more; Fitbit, Runkeeper, DoggCatcher and Audible. I use my Fitbit to track daily activity as well as sleep and water intake. This one sort of stands by itself, however the remaining three are connected. I've mentioned my love of running before, and well, Runkeeper is how I track and monitor those runs. The last two apps are what keep me entertained while running. Some may prefer music, but me, I enjoy a good book or podcast, and running affords me the time I otherwise may not have to listen. With Android, I find myself leaning on Google services quite a bit. Hangouts dominates my daily communication regiment, and YouTube is, well, hilarious. 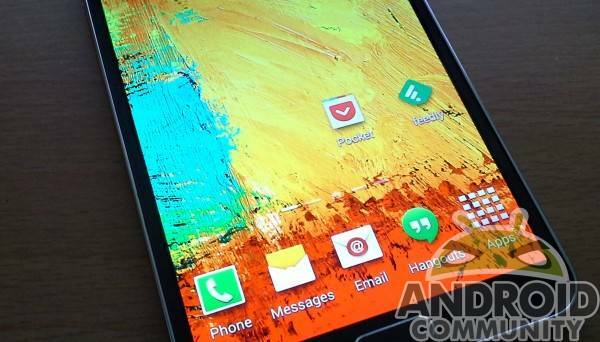 Aside from those Google apps I get with Android no matter what, here are a few favorites. CloudMagic really has changed the way I use email. I don’t like to be sappy about things, but it’s really sublime. It supports multiple accounts easily, and you can create a profile so that when you change or add devices, all you need to do is log-in once and all your accounts sync to the app. Their recent update to Cards is also just perfection — save an attachment to Pocket? Yes, please. Speaking of Pocket, I love it. 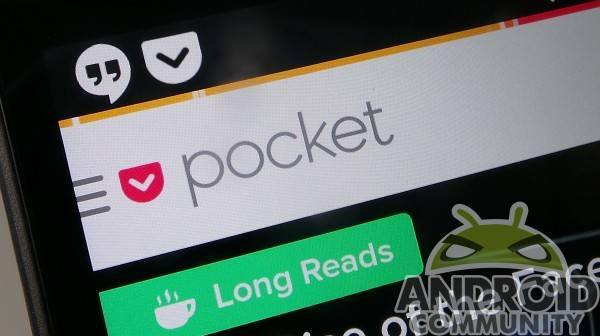 A recent switch to an RSS client on the desktop brought me back to Pocket from Instapaper. While I don’t like that I can’t create folders (seeing all the articles up front is daunting sometimes), the ubiquity of Pocket is hard to ignore. It works with everything, everywhere — even on Android Wear. I’m also using Yelp a lot lately. Portland, Oregon (where I’m at) has a ton of great spots to eat, grab a drink, or watch the Clippers beat the snot out of the Blazers (yeah, I said it…). Portland’s food and drink discovery culture is one of grassroots, word-of-mouth advertising. We don’t have a plethora of chain restaurants, here, but we have a ton of great little spots to check out. Yelp gets me around the city to new spots I didn’t know existed, and I’ve found a few new favorites due to it. These are our favorites, but what about you? If you have some go-to apps you can’t live without, let us know in the comments section below. Be sure to check back next week, too, as we revisit our weekend theme of what we’re up to in our own world of Android.